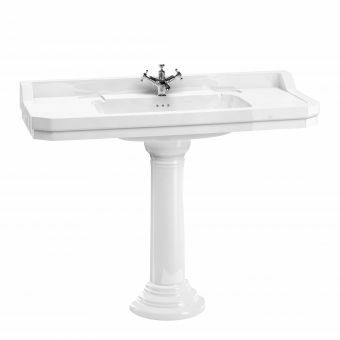 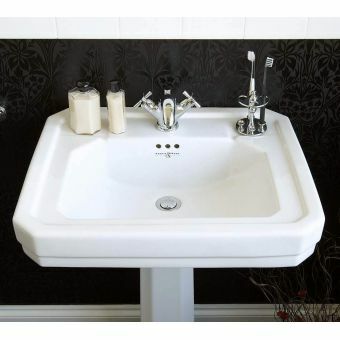 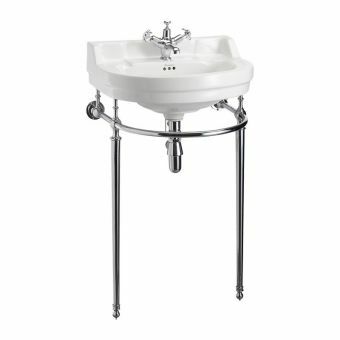 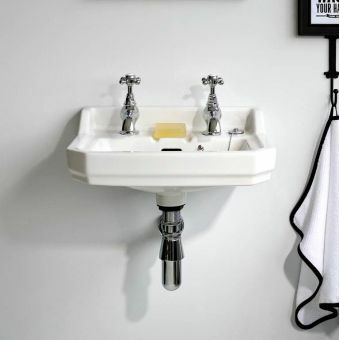 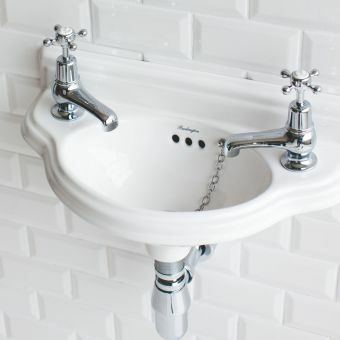 The Edwardian 61cm wide medium basin by Burlington is actually a very generous size, with plenty of room for 1, 2 or 3 tap holes, with soap recess areas to the left and right of the tap holes on the top ledge. 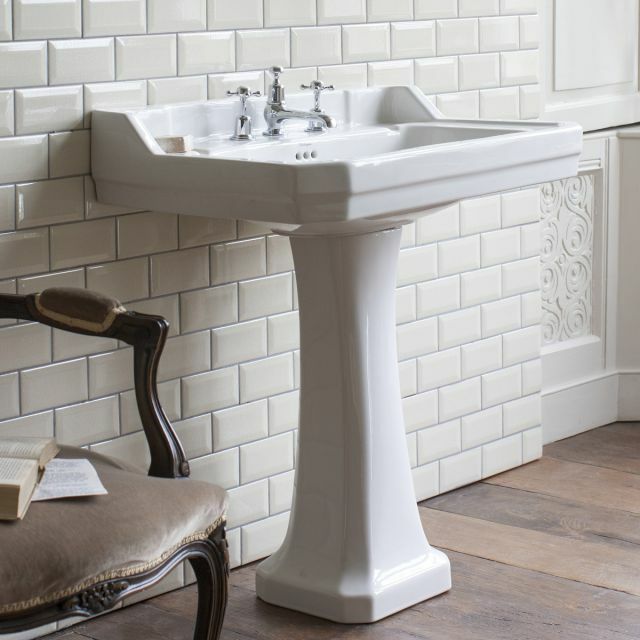 The lovely chunky splashback at the bath is practical and stylish and adds to the basins traditional looks and Edwardian period features. 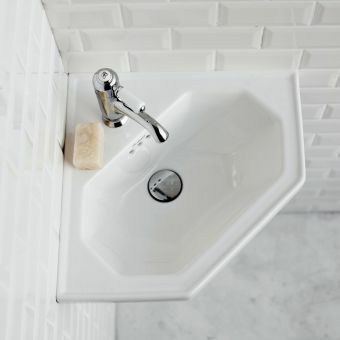 These lovely angular lines continue round to the front of the basin with neat angled corners at the front and a single step design that outlines the sophisticated classically British shape of this Edwardian bathroom sink. 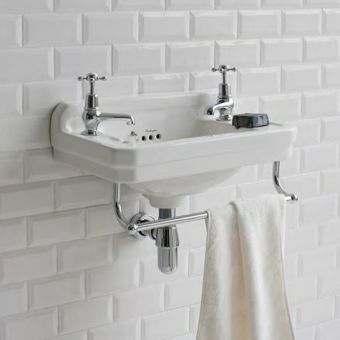 The basin fixes to the wall via fixing bolts which can be purchased separately from us we recommend the Fischer basin fixing bolts. 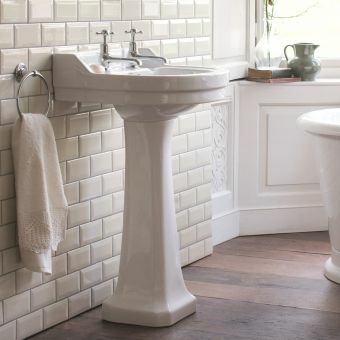 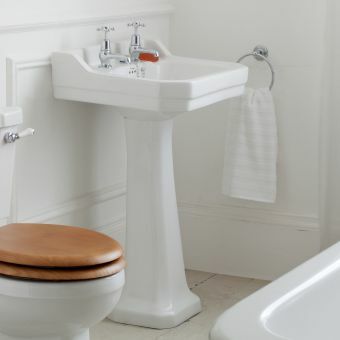 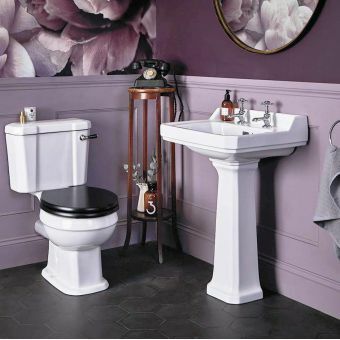 The underside of the basin can be embellished with a variety of pedestal options, these are ceramic pipe covers and help create a very traditional look. 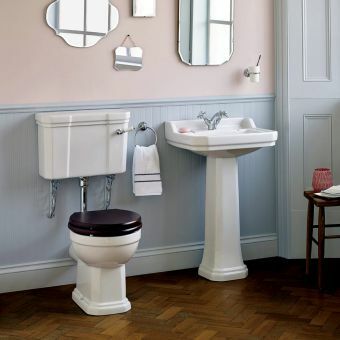 The standard full height will be recognisable to most of us, this can also be ordered as a raised height which is +6cm taller. 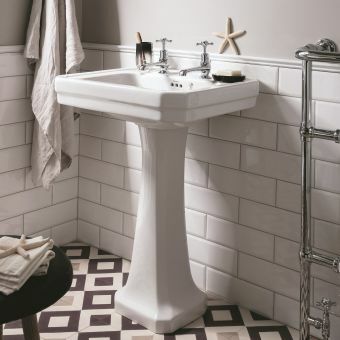 The semi pedestal is a great option for a contemporary classic look and keeps the floor area clear of fixings for a different look. 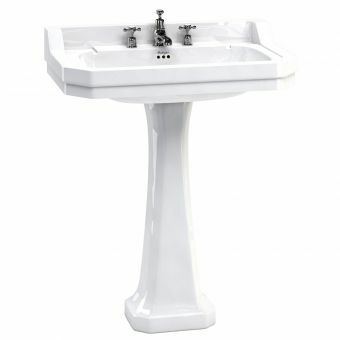 Please note the 3 tap hole basin is not compatible with the semi pedestal due to the way it fixes interfering with the tap hole area, hence it not being possible to order that combination. 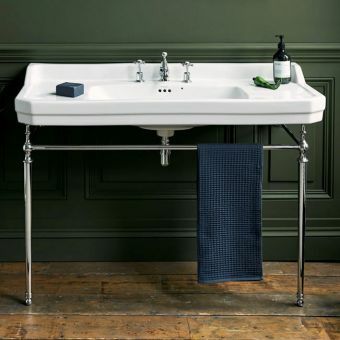 A towel rail can be added, this sits proudly at the front of the basin and is a really useful add on feature.